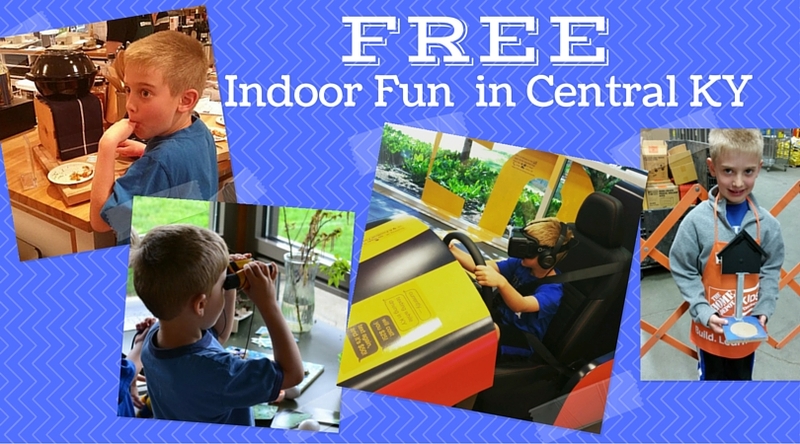 There are some great things you can enjoy with kids for FREE indoors in Lexington and Central KY! Check out these great ideas for ways to have some family fun indoors! Check out Home Depot – they offer free kids’ workshops each month plus my kids love to hop on the riding mowers, play in the showers, and even put on a cooking demo in the display kitchens. Go visit the pet store. Hop in the car and cross the Kentucky River on the Valley View Ferry or stop by an area construction site to watch. Go volunteer! Many places in town offer ways to give back with kids. Try a free Junior Chef cooking class at Williams Sonoma. Find the hidden Mickey in the Disney Store skyline at Fayette Mall. You can also see which local landmarks you can identify. Enjoy exploring at Cabela’s. It’s an outdoor (fishing/hunting/etc) store. There is a cool display in the back with taxidermied animals. You can also enjoy learning about all the animals through narrated videos and hear their calls using the interactive screen at the display. 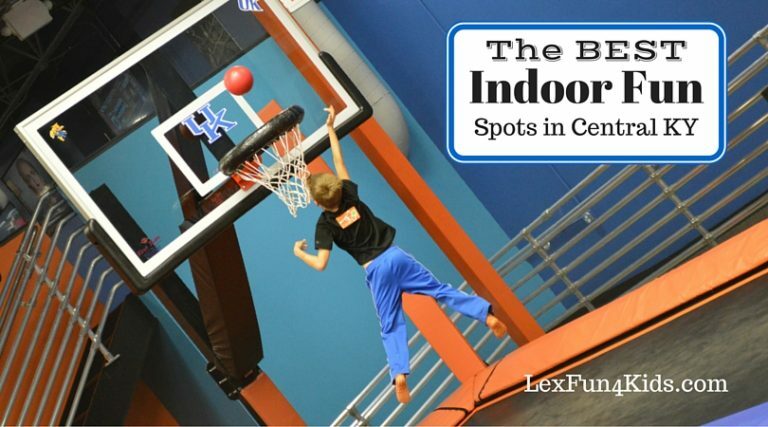 Check out the Lex Fun 4 Kids list of Indoor Fun!